We had a WILD time at the Vacation Bible School Director Preview! We had over 50 churches and close to eighty folks representing communities from all of the state of Ohio. 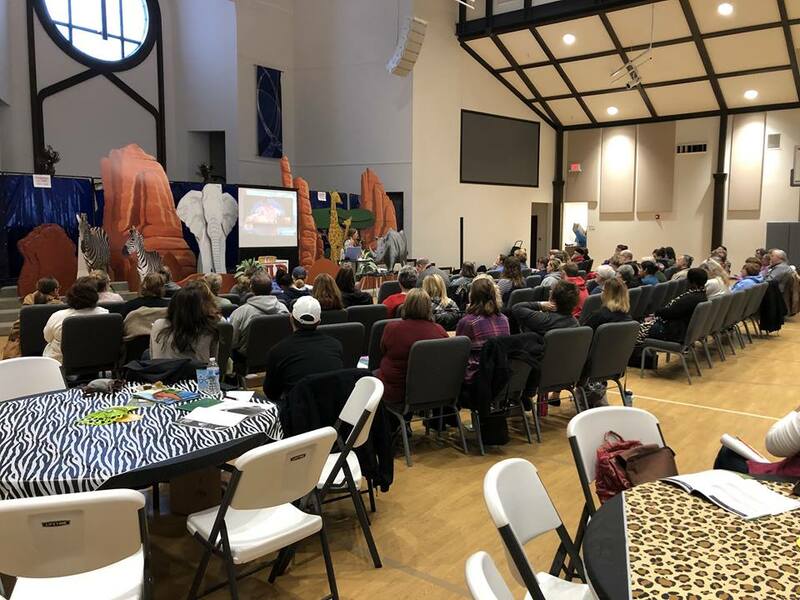 You may wonder why would people come out on a Saturday in the middle of November to preview VBS for 2019? We happen to believe that the Lord will honor our prayers and preparations with blessings. We are so grateful to Crossing Community Church for their great hospitality. We also invite you to grab your team and bring a busload to Vacation Bible School Institute (VBSI) of Ohio 2019. It will be hosted by Dublin Baptist Church on March 16, 2019 and the cost is only $15 per person. You may register here. VBS is still the number one evangelistic event that most churches will see for their entire calendar year. Begin now to prepare, plan and PRAY for how your church might use VBS to reach the lost for the Kingdom!